Until 2017 I was also a Chartered Civil Engineer (C.Eng Bsc(Hons), MICE). For some 40 years I designed and supervised the construction of major civil engineering infrastructure projects around the world. In 2007 I came to Oxford to supervise the construction of the £34 million pound A34 Wolvercote Viaduct Replacement Scheme. Where, after normal hours, I offered free Bowen Therapy sessions to members of the large construction site team. 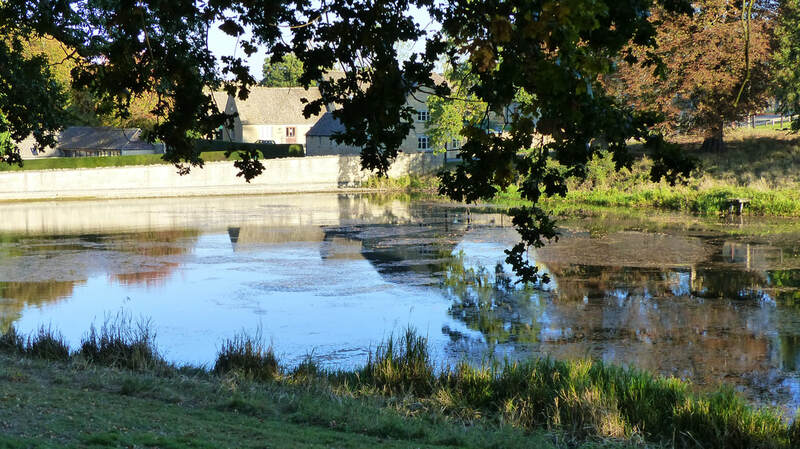 On completion of the project and at the age of 61 I decided to stay in Oxfordshire and undertake Bowen Therapy full time and commenced a practice in Woodstock Oxfordshire. 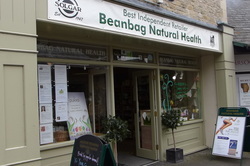 I know offer and offer treatment at the "Beanbag" Natural Health Care Centre in Witney and Meridian Clinic Eynsham. Between 2011 and 2013 I volunteered my service free on a 1 day a week basis to the Charity 'eve' - a well women's group who operated out of Witney. During this time i undertook over 500 treatment sessions on some 80 women - addressing a wide range of physical and emotional issues. "Improving The Nation's Health through Governmental Changes "
​Speedwell Trust Lecture at Green Templeton College Oxford Karina Athwal (BSc Hons), mBANT, CNHCreg. Certified NLP practitioner, mANLP , nutritional therapist and clinical psychoneuroimmunologist, Discussed "The Selfish Brain - keeping your brain in charge." Speedwell Trust Lecture -Green Templeton college Oxford. Professor Neil Ward Surrey University discussed "Diet and Hyperactivity, ME and CFS"
Speedwell Trust Lecture -Green Templteon College Oxford Dr Rachael Jenkins presented on "Mental Health and Mental Disorders"
Speedwell Trust Lecture -Green Templeton College Oxford - Dr Sarah Myhill presnted " Sustainable Medicine and how to live to be 100"
Speedwell Trust Lecture. Green Templeton College Oxford.-Professor Glen Gibson of Reading University." Gut Microbiota and Prebiotics." Speedwell Trust Lecture, Green Templeton College Oxford -Dr Jeremy Howick. Senior Researcher, Niffield Dept of Primary Care Health Sciences. Fellow of Kellogg College Oxford "The Doctor as a Cure"
Speedwell Trust Lecture, Green Templeton College Oxford -David Titman Msc "Pesticides, Plastics and Toast -Living in a toxic world"
Speedwell Trust Lecture, Green Templeton College Oxford -Prof Glen Gibson "Prebiotics Where we were and Where we are"
Speedwell Trust Lecture, Green Templeton College Oxford -Dr Karl Morton "Does ME/CFS associate with systemic mitochondria/Metabolic Dysfunction ?" Speedwell Trust Lecture, Green Templeton College Oxford. Anthropologist Geoff Bond "Is Cancer Optional"
Speedwell Trust Lecture Green Templeton College Oxford. Karina Athwal "Stress and the Immune Systerm"
Bowen Association UK AGM -Rugby Included presentations on Bowen Therapy and Dance, Bowen Therapy in a NHS Hospice and Introduction to Bowen Intuition Course. 1 day Course on "Bowen Revision and Intuition"
Speedwell Trust Lecture Green Templeton College Oxford. Professor Neil Ward Univ of Surrey "Household Chemicals and your Health"
Speedwell Trust Lecture Green Templeton College Oxford. Dr Adigo Alabo "How to combat Cognitive Decline"
Speedwell Trust Lecture Green Templeton College Oxford. Professor Graham MacGregor Professor of Cardiovascular Medicine - "Salt Sugar & All Things Nice"
Speedwell Trust Lecture Green Templeton Collegue – Professor Fritz Vollrath Dept Of Zoology University of Oxford. "Silks in Medicine"
For Clients who cannot, or do not wish to be treated at a clinic, I offer home visits.